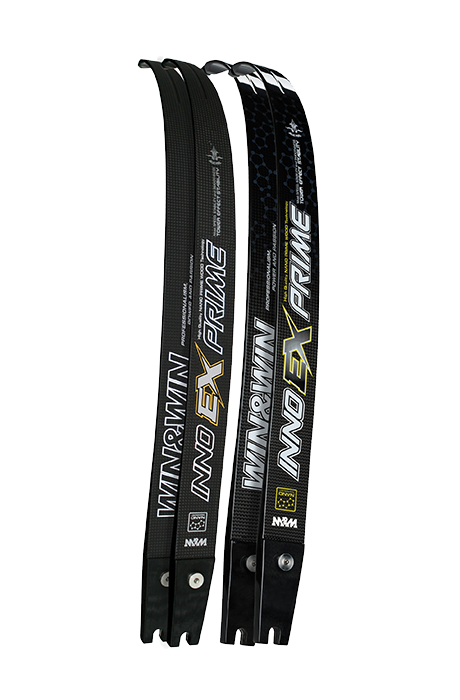 Win&Win EX Prime limbs K-Archery - Archery Supplies. Recurve and Compound Bow, Arrows, Bow Hunting and Target Archery Supplies. Utilising WIN&WIN’s N-composite carbon nano technology, the structure of INNO EX PRIME limbs is significantly stronger, right down to its molecular carbon matrix. INNO EX PRIME contains a core made of meticulously and especially-selected wood. This makes the limb feel very stable at full draw and extremely powerful at the moment of release. Focus on your draw, aim and executing the perfect shot. Let INNO EX PRIME concentrate on delivering a consistent, stable arrow down the range.